Practice and be prepared in case of Anaphylaxis. 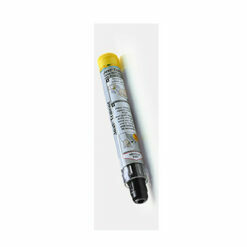 Trainer or Dummy Auto-injector pens are great for practice, training and demonstration in case of Anaphylaxis. They contain no needle or medicine, but simulate the use of a real adrenaline auto-injector. Useful in schools, nurseries, child-minders, parties or anywhere you leave your child in the care of another. 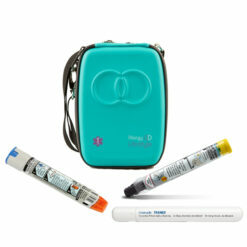 Gives peace of mind to the trainer and the carer that they can use an Adrenaline Pen correctly in case of Anaphylaxis. 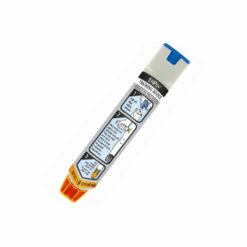 They are not just for those minding kids, but are also great for adults and teens for demonstrating to family, friends and carers how to use an EpiPen in case of an emergency. Make sure your family and friends know what to do. Quick action and rapid treatment can and does save lives in the case of Anaphylaxis.